The company offers medical trays and blisters, surgical procedure trays, pharmaceutical handling trays, custom built sealing machines, total packaging solutions and other value add services. Nelipak® Healthcare Packaging designs, develops and manufactures custom thermoformed packaging products that provide superior protection for medical devices and pharmaceuticals. The company offers medical trays and blisters, surgical procedure trays, pharmaceutical handling trays, custom built sealing machines, total packaging solutions and other value add services. Some of the largest and most reputable medical device and pharmaceutical companies in the world rely on Nelipak’s innovation in cleanroom manufactured thermoformed medical packaging. Nelipak® Healthcare Packaging has a global manufacturing footprint with facilities in Cranston, RI; Phoenix, AZ; Whitehall, PA; Liberty, NC; Venray, the Netherlands; Galway, Ireland; Juncos and Humacao, Puerto Rico; and Heredia, Costa Rica. Nelipak has more than 740 employees worldwide and is focused on delivering superior quality and customer experience through world class design and manufacturing at each of its locations. Nelipak Healthcare Packaging’s experienced in-house design, development, prototyping, manufacturing and quality teams deliver custom thermoformed products that are ergonomically engineered to ensure they are fit for purpose, which reduces cost of ownership and waste throughout products’ lifecycles. Its healthcare-focused designers use all of their skills in conjunction with unique freehand capabilities to provide customers with the ability to proactively innovate packaging even at the earliest stages of development and create custom next-generation packaging optimized to ideally meet customers’ specific product and packaging needs. Nelipak is able to help OEMs create more efficient and environmentally responsible device packaging that reduces material waste during development and production and allows for products that can be used and recycled more effectively in hospital environments. Medical manufacturers rely on Nelipak Healthcare Packing to provide a wide range of custom sterile and non-sterile, single and double barrier medical device packaging systems. Nelipak’s experienced in-house packaging teams and tool development capabilities help increase products’ speed to market while designing packaging that reduces unit costs and ensures total product protection and integrity. Nelipak’s custom designed procedure trays address the needs of medical device customers and hospital staff for packaging which is easy to use, reduces handling and saves time, while ensuring sterility and reducing the risk of error during procedure. 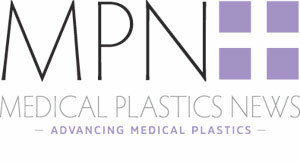 Nelipak’s packaging brings together all of the instruments and supplies needed for the physician to perform the procedure. Nelipak Healthcare Packaging understands the multitude of production requirements associated with pharmaceutical and combination products to keep the active ingredients safe and to maintain drug efficacy. Nelipak has experience working with high barrier materials where additional protection is required. Custom Built Cleanroom Sealing Machines for Medical Device and Pharmaceutical Thermoformed Blisters and Trays. Nelipak Healthcare Packaging designs and builds a range of custom made sealing machines ideal for Class 8 cleanroom use. Easy to operate with low maintenance requirements, these high performance tray and blister lid sealers come with a range of options to suit any manufacturing need.